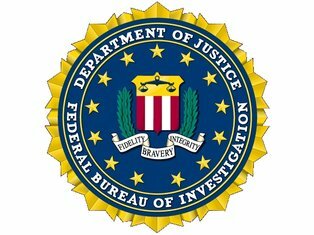 FBI audits Belfast PD computer security ! Belfast — The Federal Bureau of Investigation found a handful of minor holes in the Internet security procedures of the Belfast Police Department during an audit conducted this fall, holes that local officials said will need to be addressed over the next several years. The department was randomly selected for the review, which focused on the use of the National Crime Information Center database, which is used by local departments to search national records for past violations, bail conditions, protection orders or outstanding warrants in other states. According to Police Chief Jeffrey Trafton, the database has streamlined law enforcement processes, allowing officers instant access to mug shots and other information about criminal records. "I don't understand the connectivity but it works and I can go in here and run a license and it's immediate," he said. "... Within a few minutes of seeing a stranger from Minnesota, I can be on the phone with a police department in that town, and if it's a small town, they probably know him." Trafton said he was still working through the results of the audit, which included recommendations to change passwords more frequently, but pleaded some ignorance to the technicalities, in part because his computers are connected to the state system through the Waldo County Regional Communication Center, which is managed by the county. Waldo County's technology consultant James Arseneau said the department has several years to upgrade its systems. The major issue, he said, involves adding a third piece of authentication for individual users. "Something you physically have," he said. "So you have your username and your password but you would also need this other piece." Arseneau said it could be a key fob capable of generating a random number that matches the system, a card that inserts into the computer like a key, a biometric fingerprint identification system or something else. He said the county is still researching the options, and said he did not know how much it would cost to bring the system into compliance. "In reality there aren't a lot of counties that have this kind of thing yet," he said. According to Trafton, the Belfast Police Department undergoes a similar audit from the Maine State Police once a year, but this was the first by the FBI during his six-year tenure. Trafton said the department would likely need some new equipment in the next budget cycle to comply with the review, including several computers in police cruisers at a cost of around $600. "There's a process and we are participating in it so we can stay up-to-date, and the technology is always changing so we have to keep up with it," he said.